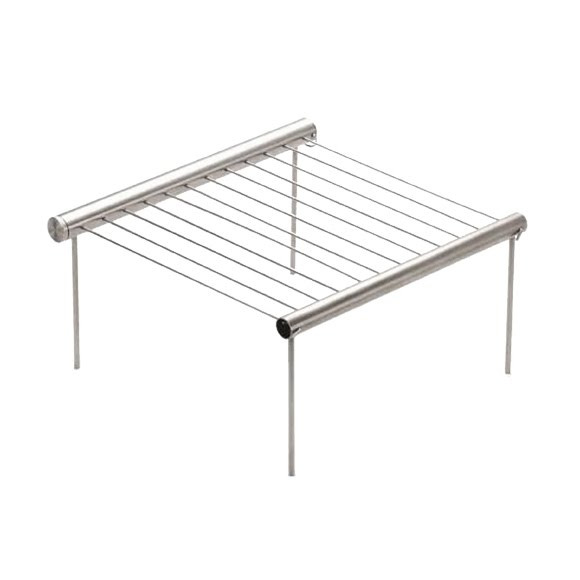 Simple and elegant, Grilliput Duo provides maximum experience for minimalists - after all, less is more! Form and function are harmonized in our high-quality, German-designed portable grills and fire bowls. We use only top quality stainless steel for durability. Simple and elegant, Grilliput Duo provides maximum experience for minimalists - after all, less is more! Form and function are harmonized in our high-quality, German-designed portable grills and fire bowls. We use only top quality stainless steel for durability. Grilliput Duo is completely dishwasher-safe and allows backpackers, boaters, and other outdoor minimalists to take charcoal grilling with them wherever they go. Output Packed: 11.4" x 0.9", BBQ Area: 9.1" x 10.2"